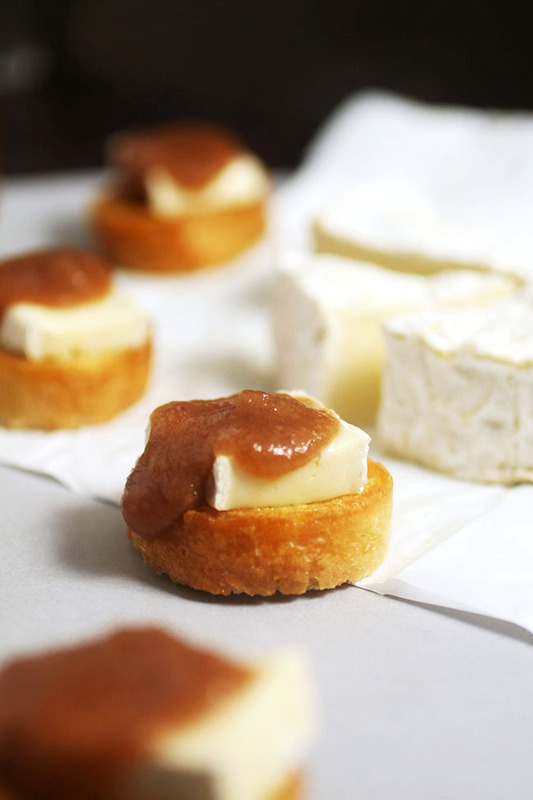 This tasty brie crostini recipe is the perfect way to use up extra or leftover apple butter. A tasty appetizer recipe for fall entertaining! You guyyyyyyyyys. Am I seriously telling you how to put cheese on top of toast right now? I promise it’s necessary, though. 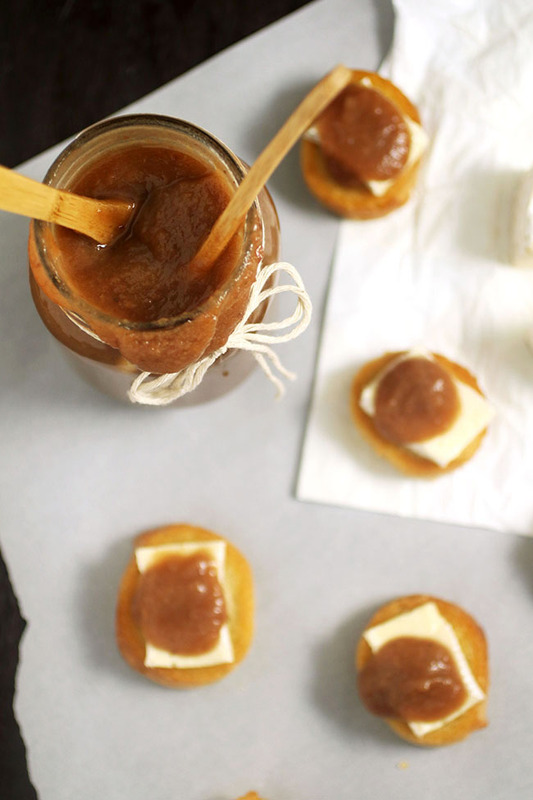 Because remember how we talked about this apple butter last week? And how delicious it was? Well. 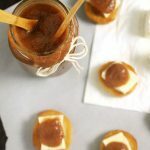 I put said apple butter on top of some creamy, buttery cheese and then I put THAT on top of some toasty lil’ crostini and it was just so delightfully delightful that I couldn’t NOT put it on the bloggity blog here. These crostini are quick and super simple. Nothing too in-your-face – just a warm, cheesy, cinnamon-y, apple-y bite of fall. Mmmmmmm. 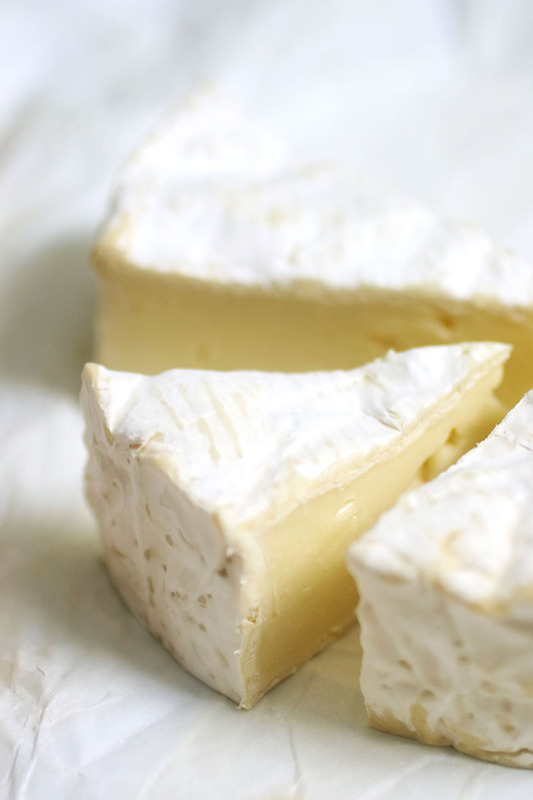 I chose brie for this recipe because 1) it’s delicious and 2) it’s short and easy to spell for the recipe title (woot), but you can use whatever type of soft, buttery cheese you have on hand. We liked this recipe a lot with a Coulommiers cheese (oof, there’s that spelling issue) that we found at our grocery store – it was on super duper sale and tasted almost exactly the same. The key here is to keep the apple butter warm – we ate a few of these crostini beauties after I’d shot the recipe, and by that time they’d gotten cold, so it tasted a little applesauce-ish. When we heated the apple butter back up, it was SO much better – and the hot apple butter melts the cheese juuuust a lil’ bit for maximum crostini happiness. A quick and easy appetizer idea to use up your extra fall apple butter. Lay baguette slices on a baking sheet in a single layer. You may need to use two baking sheets or bake in batches. Drizzle baguette slices with a bit of olive oil. Bake at 375 for 5-7 minutes until crostini are lightly toasted. 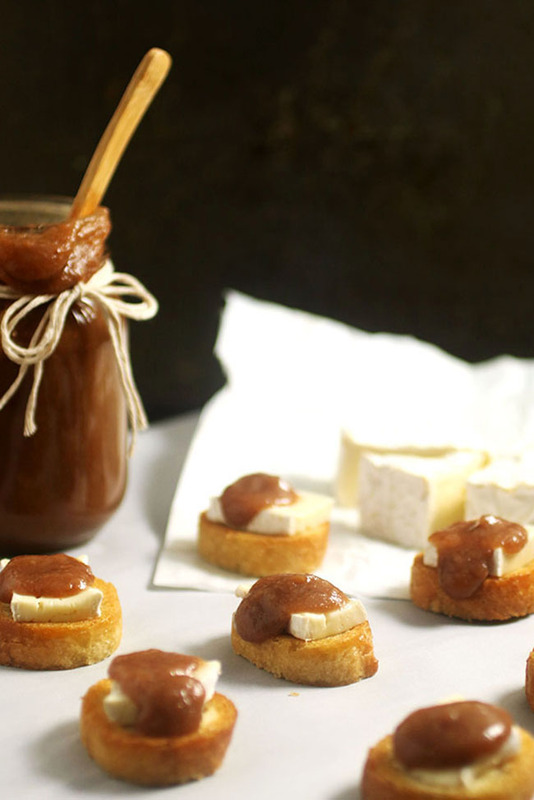 Top each crostini with a slice of brie and a dollop of apple butter. Serve immediately. This tastes the best when the crostini and the apple butter are still hot – the heat melts the cheese juuuuust the right amount and the warm apple butter makes all the difference here.